These cute coasters not only protect your furniture, they can float in the pool. Each package comes with a dozen adorable pink birds. Each bird can hold a 12 ounce soda can or a comparably sized cup. If you choose you can just use them for fun decorations floating in the pool or scattered about the party area. They can also be fun party favors or the bases for some really fun flower arrangements. 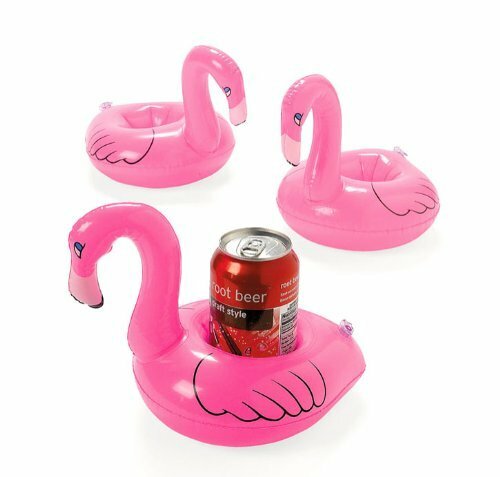 To order your dozen Inflatable Pink Flamingo Coasters, click here. Ostrich Fight! The Animal Video of the Day!! !